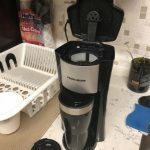 If you’re looking for an inexpensive coffee solution for your home, office, dorm room, or otherwise just a quick cup as you are flying out the door, the Black & Decker DCM18S Brew ‘N Go, available in a basic or deluxe edition offers a simple, budget solution. The Black & Decker DCM18s Brew ‘n Go is an inexpensive, single-cup pot with an included travel mug. The Brew ‘n Go brews up a generous 15 oz. serving of coffee, so there aren’t any eight oz. cups of coffee here. For a coffee drinker who needs to grab and go out the door, this is essential! 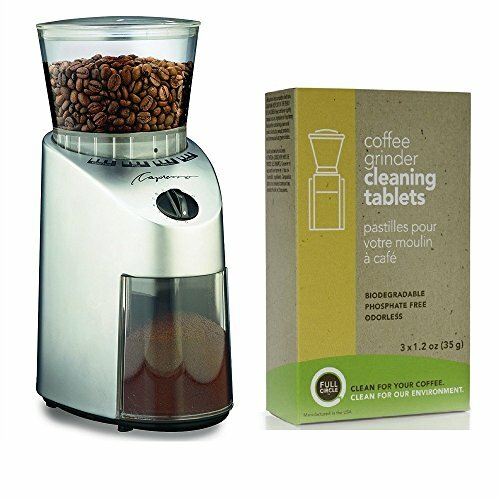 This coffee maker works well in small spaces, like an office cubicle or dorm room. The footprint is only 9-3/4 by 7 by 6 inches, so it doesn’t take up a lot of valuable desk space. The aesthetics are basic here, as you’d expect at this price point. The coffee maker is black plastic. It brews directly into the included travel mug, so there’s no coffee pot at all. The Brew ‘n Go includes a reusable filter and uses your own coffee grounds. 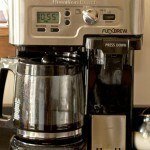 This makes the Black & Decker Brew ‘n Go an affordable choice for a single-cup brewer. There’s no need for K-cups or coffee pods. You can simply scoop your own coffee into the reusable filter, and brew. 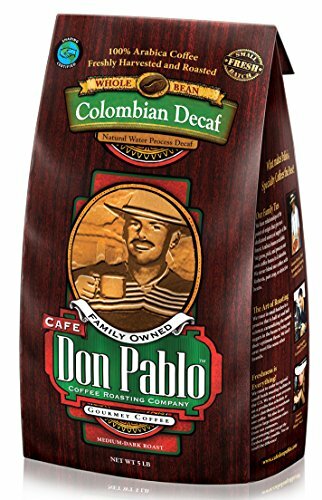 This also makes the pot an ideal choice for non-coffee drinkers to keep on hand for guests—there’s no need to worry about having filters available! The Brew ‘n Go is simple to use. Add coffee to the filter and insert into the filter basket. Add water to the reservoir and push the single-button control. The coffee maker will turn itself off, so there’s no need to worry about an overheating appliance when you leave the house. If you skip the coffee and filter, the Brew ‘n Go can be used to produce a cup of hot water for tea, cocoa or even instant soups, oatmeal or noodles. The mug is shaped to fit most vehicle cupholders, and comes with a travel lid. In the deluxe edition, the included mug is stainless steel, with a stay-cool rubber handle. 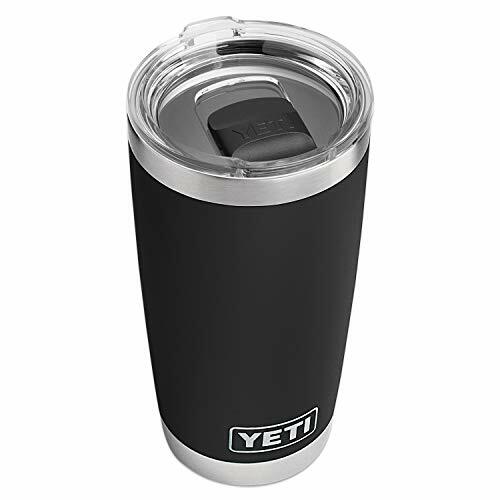 The less-expensive version comes with a plastic travel mug, rather than a stainless steel mug. The pot will fit many common travel mugs, if you prefer to use your favourite. Cleaning is simple; the surfaces of the coffee maker can be wiped down with a soft cloth, and the mug, lid, filter and filter basket are dishwasher-safe. Black & Decker provides a one-year limited warning on the Brew ‘n Go. It’s affordable, with a price under $25.00. It is a practical choice for a single coffee drinker. The included mug is an ideal choice if you need to grab your coffee and run. Black & Decker has an excellent reputation and typically produces durable and long-lasting coffee makers. It’s little—if you need more than a single mug, you may be out of luck. In addition, if you do want to brew a second cup, you’ll have to pour the first brew into another mug and restart the process. There is daily maintenance required, since you’ll need to wash the filter basket with each cup. It does cause some amount of overspill occasionally, leading to a slight mess. This is a basic, budget coffee maker. There aren’t any frills, including any real attention to aesthetics, but it brews an acceptable cup of everyday coffee at a good price. At the end of the day, you can’t really go wrong with the Brew ‘n Go, at least from a price standpoint. If you’re a finicky coffee drinker who is used to really appreciating the ritual of coffee making to the point of being a bit of a snob about it, you may run into problems rather quickly. If you’re not a snob, and you just want your coffee quick and easy, you’ll enjoy this machine while it lasts. I bought what I think was the original version of this coffee pot about 20 years ago and I still use it daily! It’s a wonderful little coffee maker. Agreed! Thanks for your comment Barb!